The Operating Room is a fun and exciting place to work; here we will explore some of the different jobs and responsibilities for those interested in surgery. Education: 4 years of undergraduate work, 4 years of medical school and 3-7 years of additional residency and fellowship training. Salary: $175,000 and up, surgeons income can increase substantially with one’s own practice, opportunities to invest in surgical facilities and consulting opportunities with medical device manufacturers. Job description: To provide anesthesia though a variety of methods to patients undergoing surgical procedures while monitoring and adjusting physiologic function such as heart rate, blood pressure and respirations. Education: 4 years of undergraduate work, 4 years of medical school and 3-5 years of additional residency and possible fellowship training. 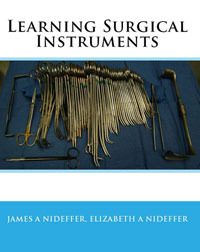 Additional notes: While surgeons typically need an office, medical assistance and nurses to see patients prior to and after surgery increasing their operating cost, anesthesiologists typically see their patients the day of surgery and require little follow-up after surgery thus able to decrease overhead costs and decrease the amount of call when not in the operating room. Job description: According to statistics, approximately 60% of anesthesia is provided my CRNAs. Nurse Anesthetists have similar responsibilities to Anesthesiologists, to provide safe anesthesia to patients undergoing surgical procedures with oversight from an anesthesiologist. This means one might find one anesthesiologist responsible for providing support to a group of surgical rooms each with a CRNA providing care to the patient. Education: Bachelor’s degree in Nursing followed by at least one year of critical care experience such as ICU nursing prior to entering a 2 year Master’s of Nursing program focusing on Anesthesia. Job description: The PA assists in the Preoperative evaluation of patients, assist during surgery, and follows patient after surgery. They are the right hand of the surgeon often writing the orders for medications and medical interventions nurses use to care for hospital patients. The PA will often take “call” with the surgeon and be responsible for taking phone calls from patients in the post operative period as well as assist with emergency care of patients at night and on the weekends. Education: Masters Degree from a physician assistant program. Job description: To provide nursing care to surgical patients. The registered nurse is responsible for ensuring safe and effective care for patients undergoing surgical procedures. This includes preoperative evaluation of surgical patients to ensure they are ready for surgery such as labs, EKG and other pre operative requirements. They are responsible for ensuring the surgical theater has everything necessary for the surgical procedure such as the appropriate instrumentation and surgical implants, assisting the anesthesiologist while putting the patient to sleep, positioning and prepping the patient, documentation of the surgical procedure, and providing support to the surgical team by opening additional surgical items needed during the surgical procedure. When in the scrub nurse role the RN will participate in the surgical procedure by both assisting the surgeon as well as manage the sterile instruments during the surgery. Education: Associates or Bachelors Degree in Nursing and 6 month – 1 year operating room internship. Salaries for nurses in the operating room can very greatly because of addition pay for overtime, call pay, and pay for special call teams such as the cardiac or transplant teams, and leadership positions. Job description: To manage the surgical instruments during the surgical procedure and to assist the surgeon. This includes making sure all necessary instrumentation and implants are present prior to the surgical procedure and preparing the room for the surgical procedure. Salaries for surgical technologists in the operating room can very greatly because of addition pay for overtime, call pay, and pay for special call teams such as the cardiac or transplant teams. Job description: Assist in transporting patients, moving patients, and setting up the surgical rooms for procedures by moving the surgical bed and other equipment into the necessary configuration prior to surgery. Education: High School and on the job training or the Operating Room Assistant Training . Salary: $12 – $18 per hour, additionally attendants will commonly take call for the operating room increasing their pay and opportunity for overtime substantially. Is there such thing as anaethesiologist tech ? Yes, most operating rooms have Anesthesia Techs. Often they will go through a CardioVascular tech program. Pay is similar to a surgical tech. CV tech training most often prepares individuals to work in a Cardiac Cath lab. No RN listed? We don’t use CRNA’s and we don’t use operating room attendants. My state requires an RN circulator in every OR room. We are the same in our OR regarding CRNAs, we only have an MD staff. But as far as attendants, who helps move your patients and helps with all the heavy equipment when setting up rooms for various procedures? We certainly need extra hands with large patients and such. Not that nurses can’t pick up a mop or move heavy equipment, it’s just not usually the most cost effective use of an RNs skill set. RN’s do all of that where I work. Mopping, cleaning, turn-overs, moving patients, setting up rooms…yep we do that too. We have “assistive personel” but we rarely see them.